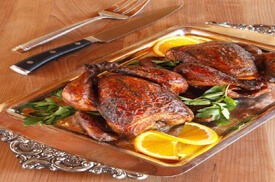 In this class, you’ll learn how to cook a perfectly oven-roasted bird. We can also use the bones to make a flavorful Jus! This class also features a recipe for Swann Choux with Chantilly.